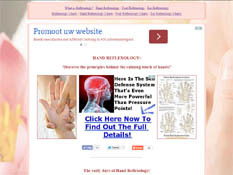 We welcome daily about a 850+ visitors while we debate the basic principles in modern Hand Analysis, Chirology & Palmistry - incl. 4100+ topics, incl. forum III: hand reading systems and forum VI: celebrity hands! NOTICE: The forum rules do not allow hand reading requests via the private PM system (abuse will get sanctioned instantly with PM deactivation), and please post your request for a hand reading in only 1 forum section (IIa, IIb or IIc). Check out our 'Members World Map', including members from 53 countries!! bare significance for that same theme." More details: Scientific Hand Reading - 9 major themes! • Does the length of life line predict longevity? • Marriage line palm reading! • Find your Elemental hand shape! • Discover the hand reading mini-course! Ia - What is the purpose of this community? Introduction by the moderator(s) + you can report issues (such as 'site feedback') in 1st section. NOTICE: in the first sub-section below you can introduce yourself! Meet our 2500+ members: feel free to write a few words about yourself, say 'hello' to new members, discover more about their motivations & experiences, etc. >> IMPORTANT: The DOs and DON'Ts [READ ONLY] - All hand reading requests should be posted in the public forums. NOTICE: Please, post your hand reading request in only 1 forum section (IIa, IIb or IIc are recommended for this purpose); you are not allowed to use the PM-system to contact individual members in order to make a hand reading request (nor to 'catch attention' for your topics & posts). MEMBERS ONLY [+ READ ONLY] - How to upload your hand photos/prints, guidelines for finding high-quality photos of famous people & celebrities' hands, facebook application + other tips!! IIa - Questions about your hands! Please use section IIa only when you DON'T want to upload a photo/print; if you want to ask a question featured with a photo- or print of your hands then please use one of the two sub-sections below (IIb or IIc). IIb - Ask one (or more) specified questions about your hands! IIc - Ask for a general hand reading! III - MODERN HAND READING - Various systems for reading hands! In case you want a recommendation that relates to palmistry books & websites, feel free to ask your question at this section. If you have a question about a specified author, book or website - please submit your question in the following 2 sub-sections. Share your knowledge & experience with palmistry books! Share your knowledge & experience with specified palmistry websites! Va - ANCIENT PALMISTRY - What are the basics & origins and where did it come from? Discussions about ancient Palm Reading from India, China... and other significant places in the world! Usually this concerns a classic 'predictive' type of palmistry, which has origins in ancient Indian philosophies & folklore. Usually this concerns a 'medical' type of palmistry, which origins in ancient Chinese philosophies & folklore. Vd - Does Palmistry have it's roots in Astrology? Topics discussing the origins of palmistry in the perspective of astrology. And how are both linked today? If you find beautiful hand photos/prints of celebrities or honourable people, you can post them in this section; but please use the following 6 sub-forums when you can relate the person to any of those categories. VII - MORE ABOUT HANDS - Any 'hands'-related topic! 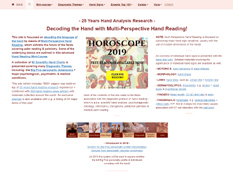 At this section you can report & discuss anything that relates to hands; but please use the following 4 sub-sections for topics that relate to: SCIENTIFIC REPORTS, HAND GESTURES, HAND REFLEXOLOGY, REIKI & ART. Share what scientists discovered about hands! Share your knowledge & what body language experts say about HAND GESTURES! Share what reflexologists & other 'hand therapists' say about hands! Share what REIKI masters say about hands! VIIf - Discussions about ART related to hands! Share the wonderful art projects that relate to hands! VIIIa - Basket... introduce topics that do not relate to hands! In the basket of the forum you can share other thoughts and materials that do not directly related to (reading) hands.